Here’s the situation – You’ve tried every possible option to extend yourself for more time, but you can’t – 2 days – that’s it. 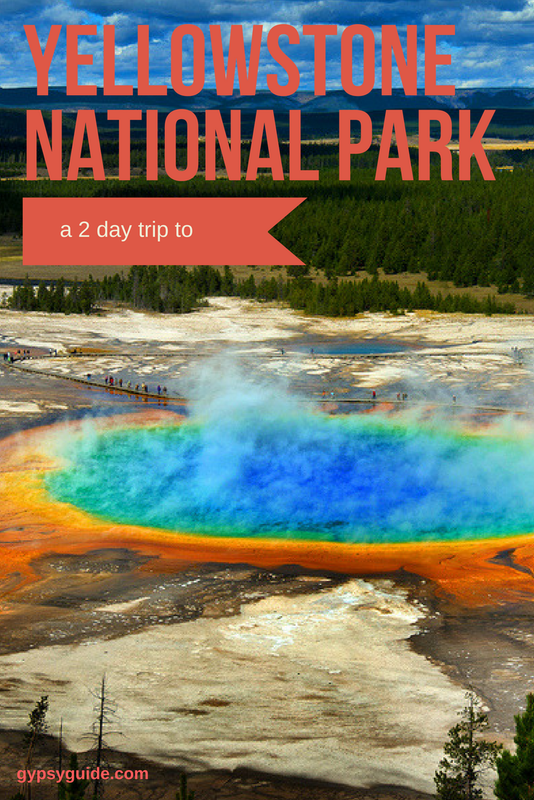 Let’s see how we can still visit the best Yellowstone sights in just 2 days. We can’t give you an hour-by-hour plan because there are 5 different places where you might be entering the park, but here is a plan for a 2 day visit. The Park’s Grand Loop is shaped like a figure 8, divided into the Upper Loop and Lower Loop. It’s a good strategy to devote one full day to each loop. If it works for your itinerary, do the Upper Loop on your first day. 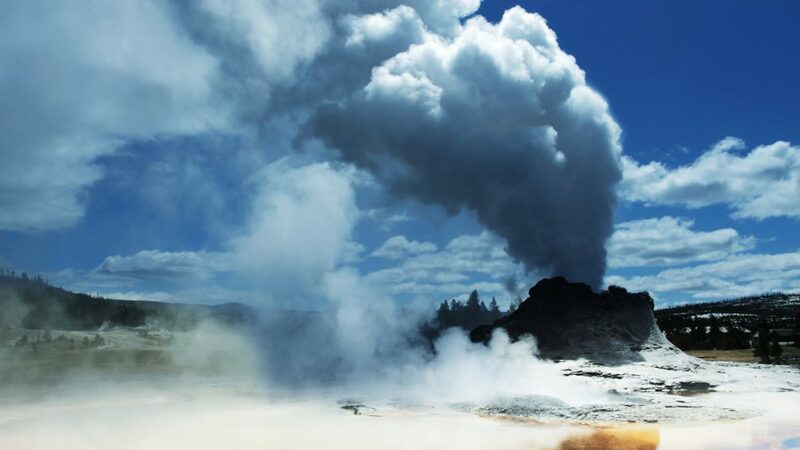 It’s a good introduction to the geothermal features of the Park and it’s only keeps getting more impressive on Day 2. It doesn’t matter whether you drive clockwise or counter clockwise around the Upper Loop, I’ll go counter-clockwise for this article, and you can join anywhere along the route. First of all, be disciplined about starting early. Don’t waste daylight hours. Watching geysers erupting or waterfalls cascading deep late in the day is better than any TV show in a hotel room! 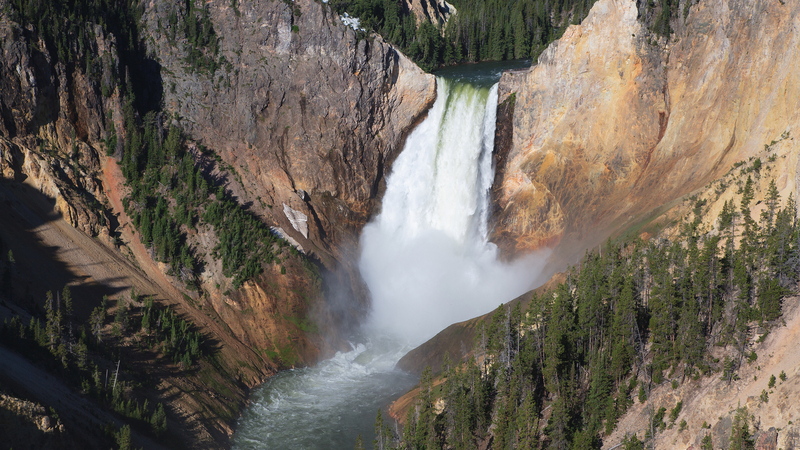 Include the Grand Canyon of the Yellowstone in your Upper Loop day. This is the single location that will consume the most amount of time during your day. Expect to spend a few hours viewing the magnificent Upper and Lower Falls from several viewpoints on both the South Rim and North Rim drives. Though it might sound repetitious, each of the six major viewpoints provide a different perspective and I dare you not to take photos from each one. If you are fit, take on Uncle Toms Trail for a less crowded viewpoint and a quick workout. You’ll see what we mean by quick workout! Driving north away from Canyon Village we drive to almost 9000 feet elevation through Dunraven Pass on route to the Tower Roosevelt area. Keep a close eye out for wildlife in this section, especially looking down into the beautiful Antelope Valley. The “Tower” in the Tower Roosevelt area is Tower Falls. These pretty falls are punctuated by volcanic spires around the brink. If you score a good parking space, Tower Falls can easily be enjoyed in just 10 minutes. Within 5 minutes of leaving Tower Falls its worth making another 10 minute stop to view the downstream end of the canyon at the Calcite Springs viewpoint. Across the canyon, and along the roadside, you will be impressed a fantastic display of columnar basalt. 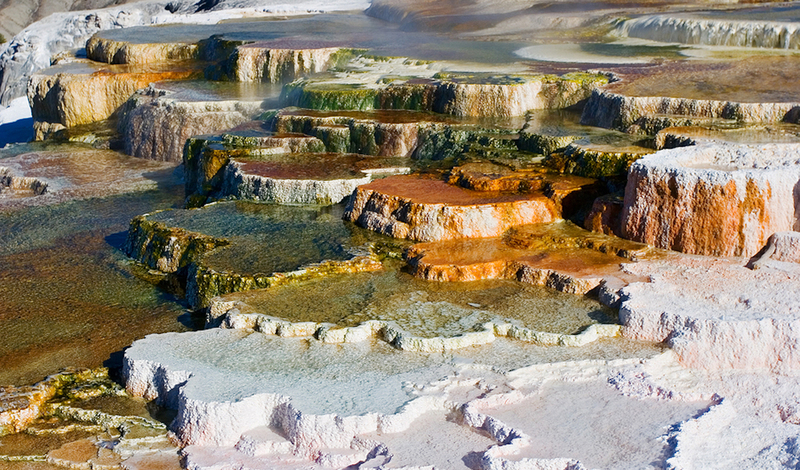 From Tower Roosevelt, with limited time we should drive directly to Mammoth Hotsprings, with no must-do stops. But no get the wrong idea, the landscape as we drive through is stunning and extremely wildlife friendly. Always be scanning the wide open grassy meadows and gentle streams are perfect places to spot large animals. 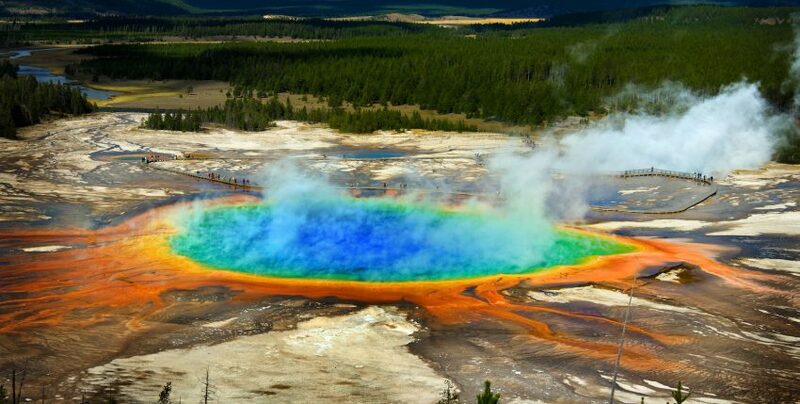 Mammoth Hot Springs is worth spending at least one full hour to see, taking photos of Liberty Cap, and walking the boardwalks to the variety of different hot springs and cascading limestone lined pools. Mammoth has a comprehensive choice of services and is an ideal place to stop for a meal break. Driving away from Mammoth, heading south towards Norris, there are 2 fast and easy places to see. Take a drive around the short loop at the Upper Terrace of Mammoth. 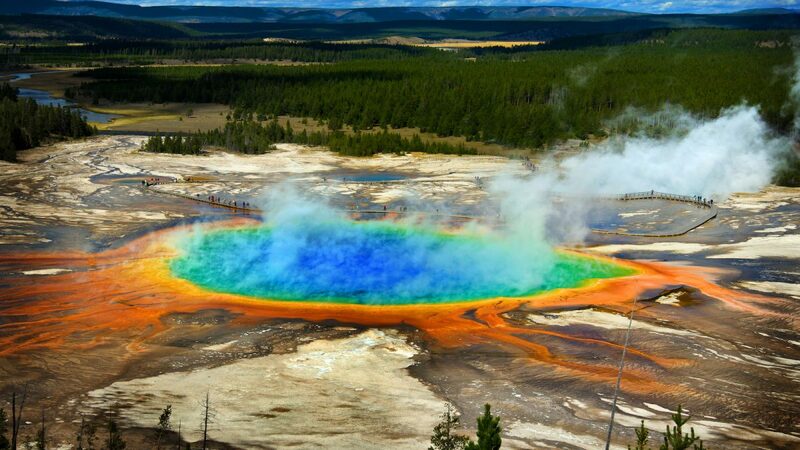 See mineral trapped trees, colourful mounds pouring out hot water and cascading terraces of travertine. Another easy roadside stop is at Rustic Falls and the view back to the Golden Gate. There are several tempting short stops to make on the way to Norris Junction, but even if we are hurried, the Roaring Mountain Fumaroles should not be bypassed. On this tour of the Upper Loop, these are the most aggressive thermal features will see and hear. When you reach Norris Junction, there is the opportunity to visit the Norris Geyser Basin as a part of the Upper Loop Drive. Unless we have loads of time left, save it for your Lower Loop Day. To complete the loop, the drive from Norris to Canyon Village is a quick and convenient way to cut across the Park. There are no can’t-miss stops on that leg, but a nice detour that adds 10 minutes to the drive is to take the “old road” that passes by Virginia Cascades. 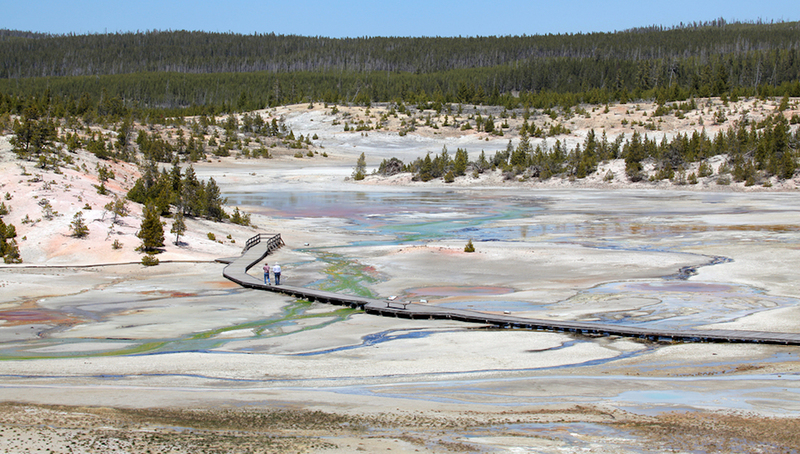 That’s a full, but manageable day to explore Yellowstone’s Upper loop Drive. 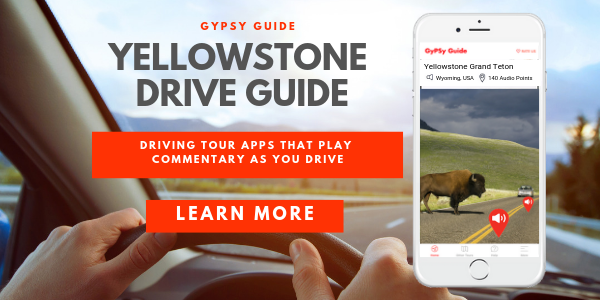 Downloading the GyPSy Guide App Tour of Yellowstone National Park will be hugely helpful to you as it automatically explains the things that are coming up. This will help you know whether attractions are not to be missed, or if its OK to skip certain places to save time for other must do stops. Its like having a tour guide in the vehicle along with you. 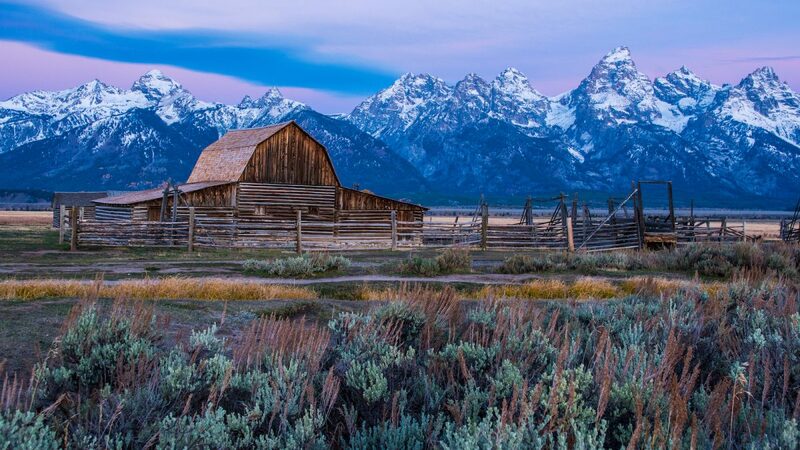 The USA’s most magnificent National Park will impress you. Our tours cover all 4 quadrants of the park, allowing you either to just cover the highlights or with more time, in depth. A circumference of Grand Teton National Park via any of 4 park entrances. Dramatic mountainscapes, animal sightings and historic ranches and cabins can be explored in one or multiple days. Like this article? Pin it! 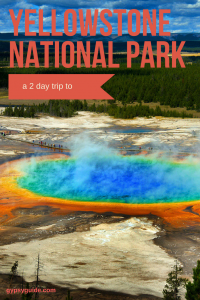 or share these tips for planning a trip to Yellowstone with other travellers.